UNIQUE is the country’s largest independent design show, and this month it’ll be in San Francisco to benefit 826 Valencia! 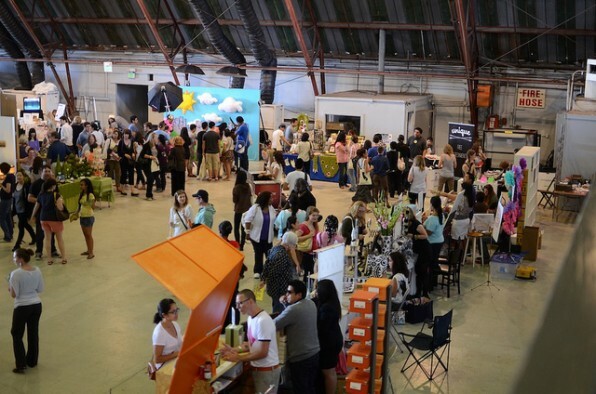 Launched in December of 2008, UNIQUE LA was created by designer Sonja Rasula as a way to bring local-made design and art to the masses. The show is now travelling up the coast for its debut appearance in the Bay Area on June 30th and July 1st. Come on out for the chance to meet and shop directly from over 250 hand-selected designers and artists: participants run the gamut from printmakers to chocolatiers to crochet gurus. In addition to the vendors, there will be DJs, free drinks, photo booth portraits, DIY crafts, mini-massages, and delicious food. Tickets ($10) are available at the door and online– 10% of all ticket sales will go to 826. Next time you hit the lanes, make sure you bowl hard enough to work up an appetite! For the entire month of July, Mission Bowling Club will give $1 to 826 for each burger order. Anthony Myint (of Commonwealth, Mission Chinese Food, and Mission Street Food) and his crew have updated your typical bowling alley fare with a fine dining sensibility. Chow down on a juicy Mission Burger, come early for Biscuits & Gravy, or choose from a bevy of other mouth-watering items available at the restaurant– you’ll be eating for 826!